Kya’s Krusade, Inc. is a volunteer-based 501(c)(3) tax-exempt organization. 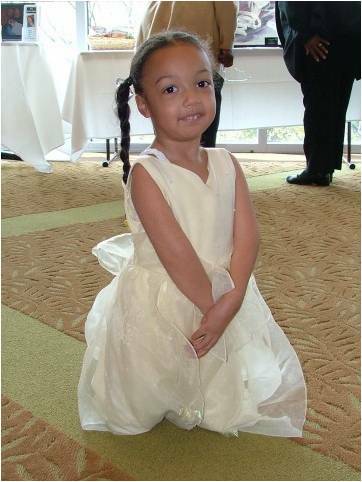 Kya’s Krusade was named after and inspired by a special young lady, named Kya, who was born with a rare condition called Arthrogryposis. The organization was co-founded by Kya’s mother and godmother, after several exhaustive searches to find information, resources and support for Kya and her family. Kylie and Ashandra decided to be proactive and become a resource and source of support for other children with physical disabilities and their families. Kya’s Krusade became fully operational in July 2007. The Kya’s Krusade logo is ” Kya’s Krusade’s initials reflected to form the abstract wings of a butterfly, to imply the powerful transformation that children served by the organization may go through as they learn new ways to move.” – Lisa McLymont, Very Ideal Design (Kya’s Krusade Graphic Design Partner). Kya’s Krusade identifies and creates programs, services and tools that enable children with physical disabilities to reach their maximum potentials and support their families throughout their special journeys. We provide support, education and assistance through our website, provision of resource information and Art Therapy and Financial Assistance Programs. We strive to form a diverse community network and provide opportunities to enable equal access to all available informational, emotional, medical and financial sources of support. Kya’s Krusade aspires to be a nationally recognized organization with a reputation for its exceptional delivery of client-tailored services, innovation and commitment to increasing awareness and the range of available resources dedicated to Arthrogryposis and other less-publicized physical disabilities. Strategic growth and network building will ensure the financial stability and longevity of our Krusade of hope, care, growth and results. Kya’s Krusade strives to assist children with physical disabilities to reach their maximum potentials at every stage and support their families. Kya’s Krusade is and will remain an open organization. There are no fees to become part of our community, through either the utilization of our services or joining our resource network. All programs and services are free of charge, but donations and sponsorship are welcome. Our philosophical and operational approach stems from our belief in the power of collective collaboration from family, medical and social communities to bring about optimal growth, development and greater accessibility to resource options for the children and families we serve. We anticipate the development of innovative activities and initiatives to meet and exceed the changing needs of our client, network and support bases.